LuminAR reinvents the traditional incandescent bulb and desk lamp, evolving them into a new category of robotic, digital information devices. The LuminAR Bulb combines a Pico-projector, camera, and wireless computer in a compact form factor. This self-contained system enables users with just-in-time projected information and a gestural user interface, and it can be screwed into standard light fixtures everywhere. 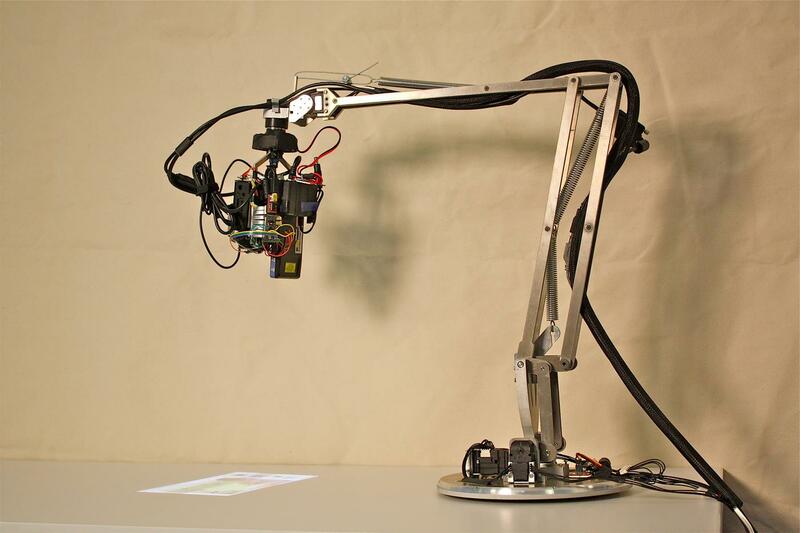 The LuminAR Lamp is an articulated robotic arm, designed to interface with the LuminAR Bulb. Both LuminAR form factors dynamically augment their environments with media and information, while seamlessly connecting with laptops, mobile phones, and other electronic devices. LuminAR transforms surfaces and objects into interactive spaces that blend digital media and information with the physical space. 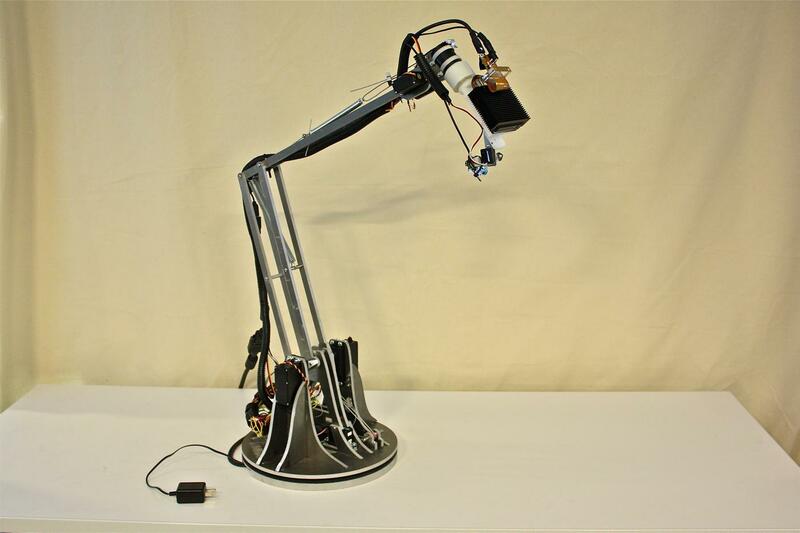 The project radically rethinks the design of traditional lighting objects, and explores how we can endow them with novel augmented-reality interfaces.